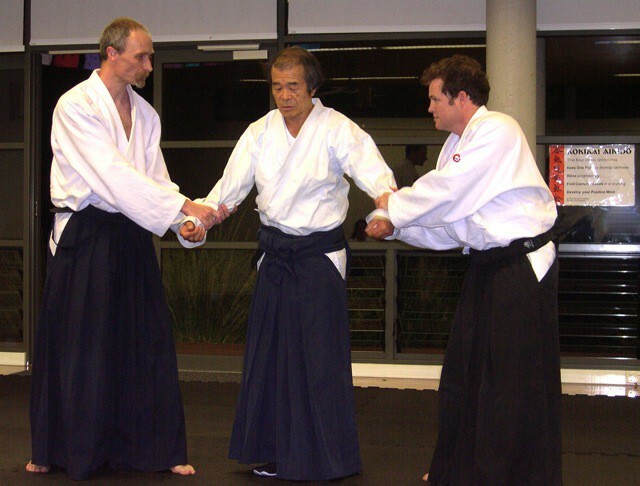 Koikikai Aikido is a style of Aikido founded by Shuji Maruyama Sensei. The name Kokikai means “school of radiant ki”. Ki can be described as a person's essential inner energy. Shuji Maruyama Sensei continues to develop Kokikai Aikido - it is a fluid sytle with no set textbook way of performing any technique. Shuji Maruyama Sensei is based in Nagoya, Japan. Sensei is a regular visitor to Australia, and has visited Avalon dojo, where dojo members have directly benefited from his instruction.